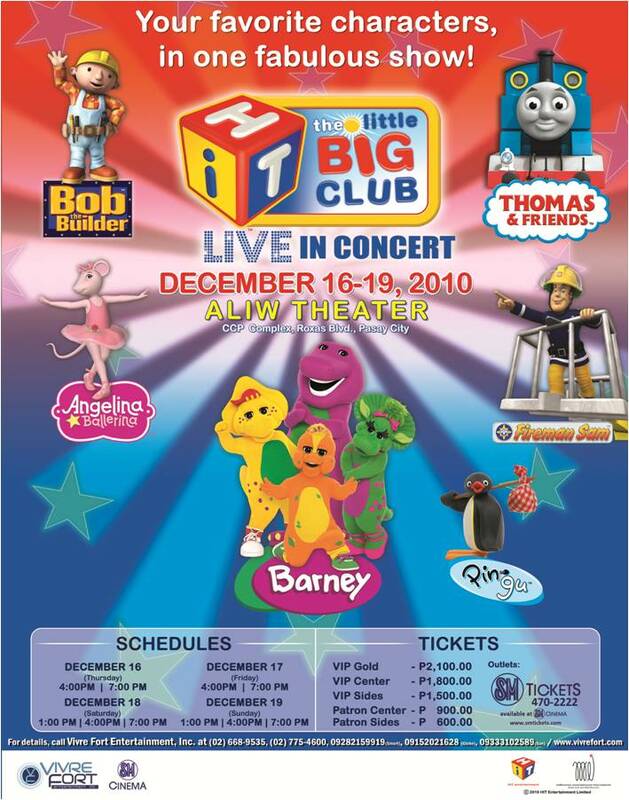 Watch The Little Big Club Live in Concert for free! Make or Break is hosting another contest and this time 3 VIP tickets will be given away every two weeks!! Anyone can join the contest (except Relatives of the producers, organizers and promoters). But guys you have to be 18 years of age and A Filipino Citizen. 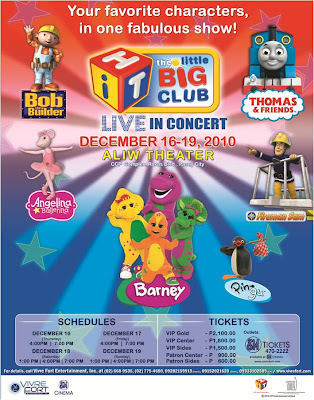 This entry was posted in Uncategorized and tagged Angelina, Barney, The Little Big Club Live in Concert, Thomas and Friends on October 12, 2010 by Yami.